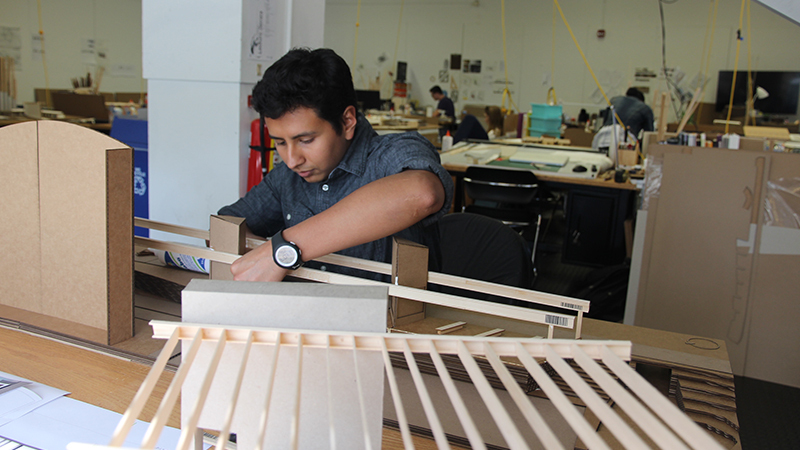 Carlos Torres-Cervantes was always passionate about architecture, but when he first came to the College of Design, he wasn’t sure how to pursue it practically. He chose to study industrial design instead. “To be honest, when I first started in design [at the College], I didn’t fully understand what design was. I knew that I loved being creative, but I wanted to try and turn that kind of synthesis into problem-solving,” he says. He received his bachelor of industrial design in 2012 and began working in the community. Torres-Cervantes embarked on a career in graphic design at a local research company, Innovation Research & Training (IRT), whose business services focus on enhancing the mental and physical health and quality of life of children and their families, the community, and organizations. “What I really like was that they are supporting the local Durham community and many of the projects have something to do with education. So, whether it was teaching mindfulness in school, helping them [citizens] understand what happens when you go to a doctor, or a program to help children integrate better into society—it was all via graphic design or online interactive programs that we created,” says Torres-Cervantes. The experience was influential. 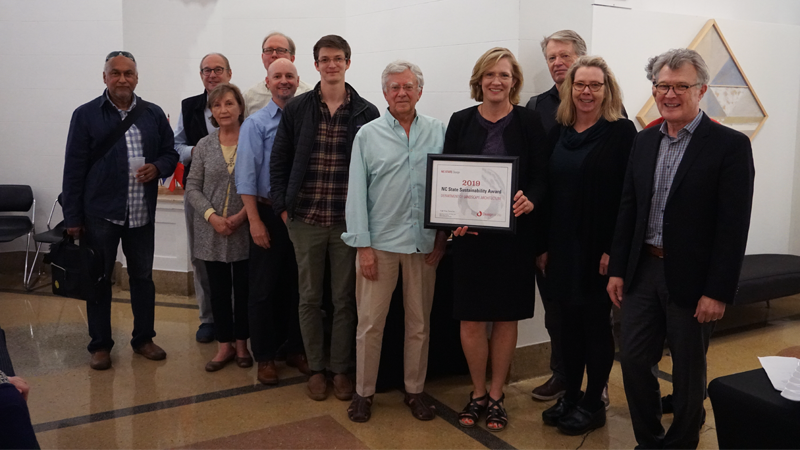 It enhanced Torres-Cervantes’ passion to make a difference in the community, highlight the importance of family, and also to explore his original passion for architecture. “I realized it was an opportunity; if I wanted to go back and get my master’s degree, it was now.” So he returned to NC State to pursue a master’s degree in architecture (M.Arch). Over the summer, Torres-Cervantes was able to intern at Duda | Paine Architects, a renowned Durham-based firm that is responsible for designing the award-winning Talley Student Union. 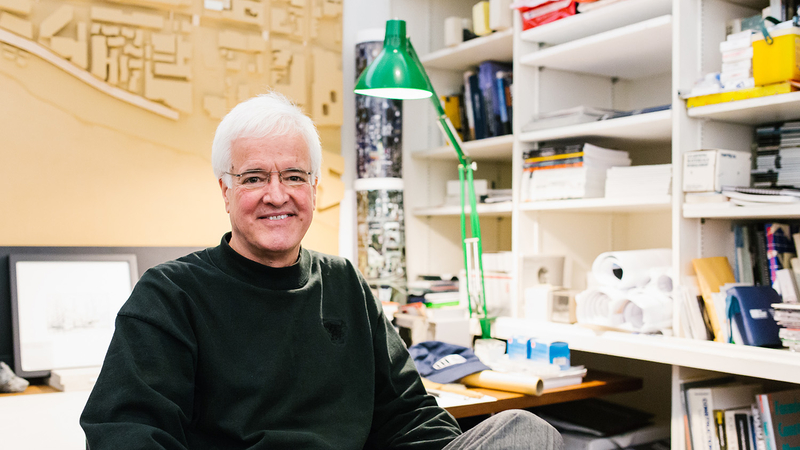 Turan Duda, FAIA, Founding Principal, is also an alumnus and valued member of the College community. The internship came about because of lots of preparation on Torres-Cervantes’ part. He reached out to Kathleen Monroe Fenner, director of career and academic advising, who assisted him on improving his resume and interviewing techniques. 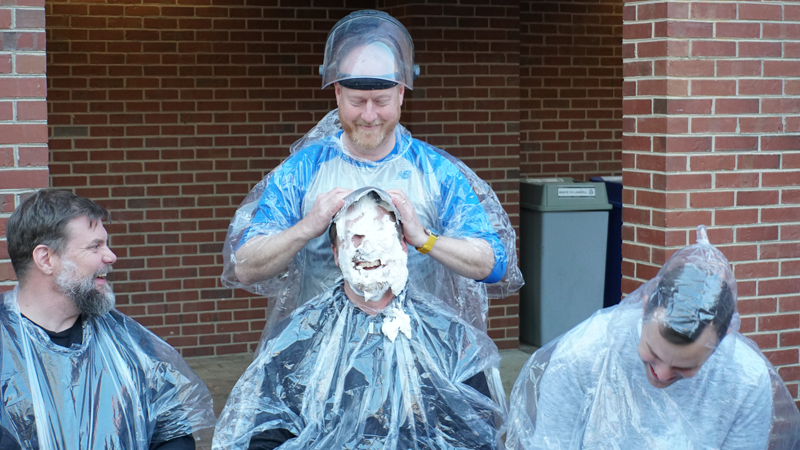 “She [Fenner] did a mock interview with me, and this was very helpful in facilitating a better understanding of how to have a good interview,” he states. Then Torres-Cervantes attended the Career Expo and was invited to interview with four different firms, among them Duda | Paine. His earlier efforts paid off, and he was offered the summer position. The internship was a great learning opportunity for Torres-Cervantes. It gave him exposure to the workings of an interdisciplinary team, and he learned to work under deadlines and saw projects get accomplished. 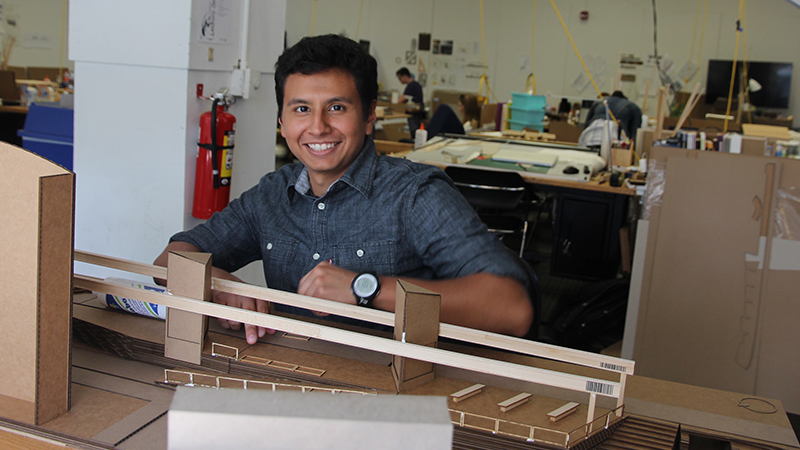 Torres-Cervantes wrapped up his internship and is back at the College with a better understanding of what it takes to be an architect, the work and collaboration that is involved, and the value of design thinking and ideation throughout the process. The exposure gained at Duda | Paine solidified his aspiration of becoming an architect, and he’s seen the benefits and opportunities it offers to make a difference and impact others.